Have you ever taken a moment to think about how your vehicle's tires are made? Probably not, yet doing so may help you better understand what goes into our tire repair service. More than just a few inches of thick rubber, your tires are actually made from layer after layer of fabric cords called plies. These plies sit atop steel belts that help to reinforce both the sidewall and the treads, which is formed from several layers of synthetic rubber. Steel cable loops called beads give the tire the strength needed to stay seated on the rim. Once those components are placed together, they are run through a curing machine which cuts the tread pattern and bonds all the components together. To learn more about tires, including tire repair cost, visit Meineke #1065 in Reynoldsburg, OH today. You know that you need your tires in good working order to drive your vehicle. So, perhaps a better question than why your tires are important is why you should maintain them before you're forced into frantically searching for "flat tire repair near me." The average car weighs over 4,000 pounds, which is a lot of weight sitting on your tires. Differences in inflation between tires causes your vehicle's weight to be distributed unevenly. Over time, that uneven weight distribution can lead to issues with your vehicle's balance, which then affects its safety and performance. Thus, following a routine rotation service is vital. You'll find such a service here at Meineke #1065 in Reynoldsburg, OH. "My tires seem a bit worn down, should I find a flat tire repair shop near me?" This is a frequently asked question, but there is no universal answer. However, there are easily observable signs that your tires may need to be replaced or repaired. For example, if your tire pressure reading is consistently low, even after replacement or inflation, you may want to consider tire pressure sensor replacement. Loss of tread, poor vehicle handling, and visible punctures are also common signs of wear and tear. Stop by Reynoldsburg OH Meineke #1065 to speak with a tire repair professional. A flat tire leaves you stranded, pure and simple. Yet there are other reasons why you should ask yourself "Is there a good option for tire repair near me?" long before you ever get a flat. Avoiding routine tire rotations won't necessarily keep your vehicle from driving (up until excessive wear causes a flat, that is), yet it does limit their performance lifetime. Given the significant financial investment your tires represent, wouldn't you want to get the most out of them? 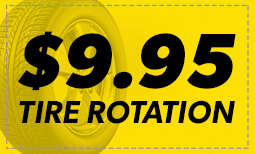 Contact us at Meineke #1065 in Reynoldsburg, OH to learn how a low tire rotation can save you hundreds of dollars in the long run. The great thing about tires is that they usually show clear signs when they need to be replaced or serviced. Damaged side walls may be cracked and broken if the tire is old or failing. Tread on the tire may also seem noticeably low, further indicating the need for a tire repair service. In severe cases, your tires may be so damaged, you can feel or see the belts, or insides, of the tire. Wear on one side, or not enough wear along both sides of your tire also indicates a problem. If any of these happen to your vehicle, immediately contact Meineke #1065 in Reynoldsburg, OH to help you safely get back on the road. If you are in need of new wheels or tires, searching for "flat tire repair near me," may not always give you the best results. At Meineke #1065 in Reynoldsburg, OH, we are always willing to go above and beyond to ensure that our customers receive the best service for the lowest prices. We often offer tire rotation coupons and other deals to keep tire replacement cost low. 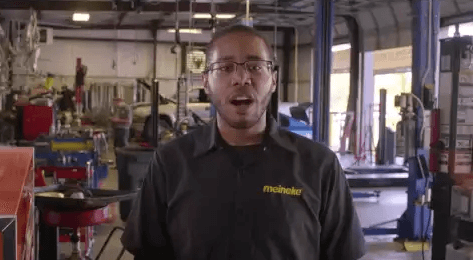 Save yourself time and money by bringing your car to Meineke #1065 the first time you are in need of repairs. Our professional technicians always take pride in their work, so you can be sure you are only getting the best possible service.